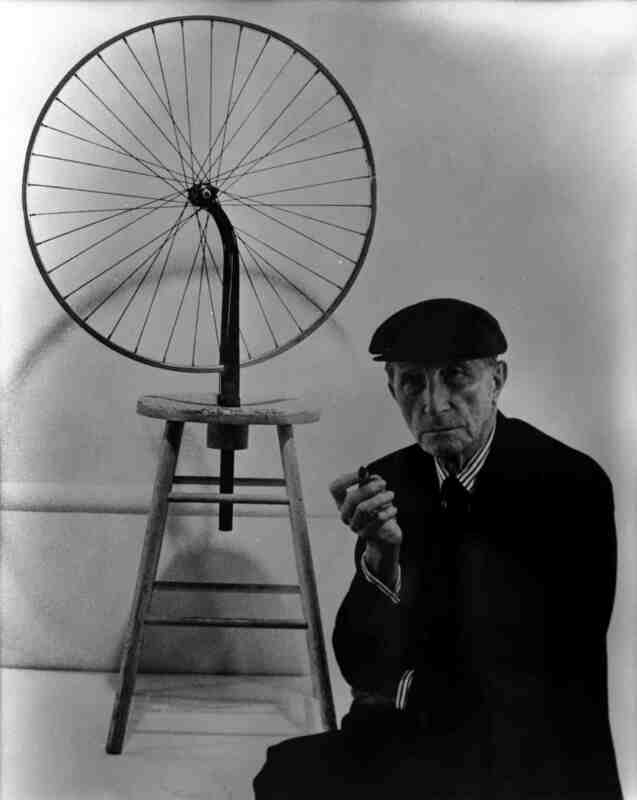 The means of transport link is a bit tenuous here but I seem to have been writing about a lot of works that are in some way related to the idea of the readymade or assemblage so not mentioning Marcel Duchamp’s Bicycle Wheel would seem like a strange omission. This is a sculpture so simple it’s hard to see it as something that predated minimalism by several decades. Whenever I stop to really think about Duchamp and the idea of the readymade I’m astonished that it took just fifty years to get from the outrage that greeted Édouard Manet’s 1963 painting Le déjeurner sur l’herbe, often seen as heralding the start of Modern Art, to a bicycle wheel on a white stool being declared to be art. That it predated the formation of Dada, a movement with which Duchamp was associated, with its ideas of an anti-art in response to the horrors of the first world war also seems extraordinary. 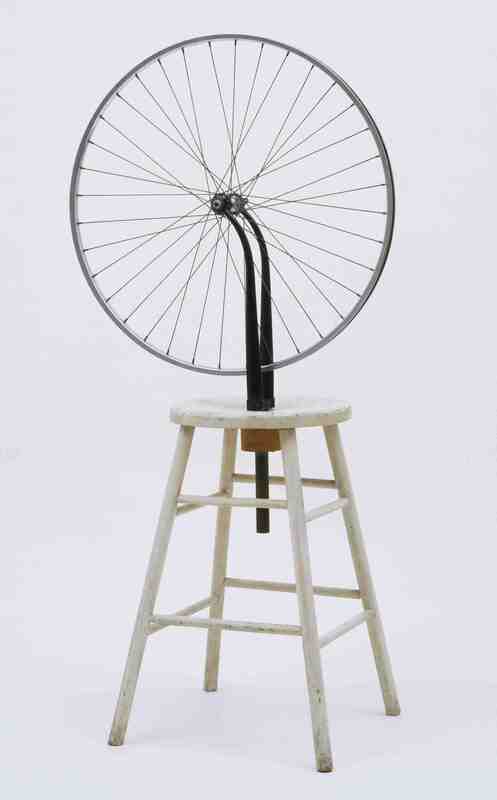 Duchamp didn’t fully develop the idea of the readymade until a couple of years later but retrospectively declared Bicycle Wheel to be the first readymade. The way Duchamp speaks of Bicycle Wheel as a pleasing distraction to have in the studio is also interesting, to be spun occasionally and watched like flames in a fireplace, suggesting as it does an artist simultaneously amusing himself and creating a space for increasingly absurd ideas to emerge. The other aspect of Bicycle Wheel that sets it apart even from the art of its time, and even from Duchamp’s own readymades, is that it moves. Kinetic sculpture may not seem especially radical now, but in 1913 sculpture was a) sculpted, and b) invariably static. Effectively Duchamp turned art on its head simply for the fun of it. On the whole, I’m very glad he did. This entry was posted in Assemblage, Sculpture and tagged art, assemblage, Bicycle Wheel, Marcel Duchamp, readymade, sculpture by Ann Jones. Bookmark the permalink.